This is good. Capital G good. This was so good, in fact, I was eating it cold off of the serving plate there were hardly any leftovers. This recipe for a Winter Pot Roast has been perfected over time, and is hands down one of the best comfort food recipes out there. I have been blessed in many ways. One of the ways I am perhaps most keenly aware of, is that I grew up in a family that not only enjoyed eating meat, but knew how to cook it. My Mom and Grandmother, the major sources of food for the majority of my young life, were both amazing cooks. If you’ve ever had a burger that was charred beyond recognition, or steak that was cooked so well done that it was petrified, or a roast that was overdone so thoroughly you need a pint of gravy to make it palatable, you can totally appreciate the art of cooking meat so tender, that it pulls off the bone with your fork. I have also been ignorant. I did not know that not everyone knew how to cook meat without ruining the texture, or the taste. I assumed that everyone cooked like my Mother did. I mean, didn’t you? 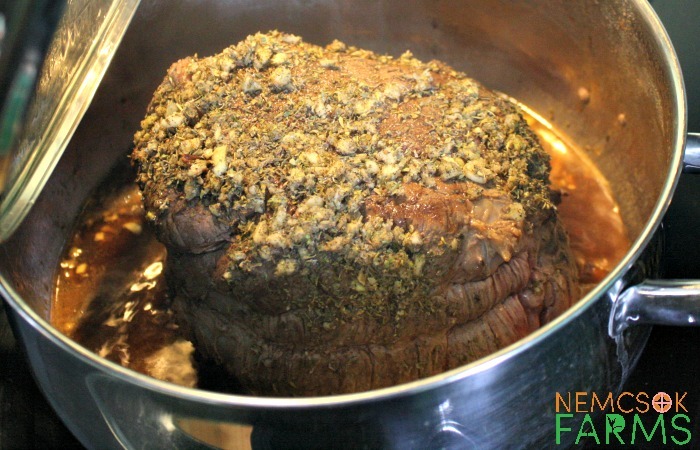 I’m going to share my recipe for a perfectly tender Winter Pot Roast, but first I just want to tell you about a few tips to keep in mind when preparing a pot roast. Always cook meat to the specified internal temperature for safe consumption. I found a handy chart for you here. 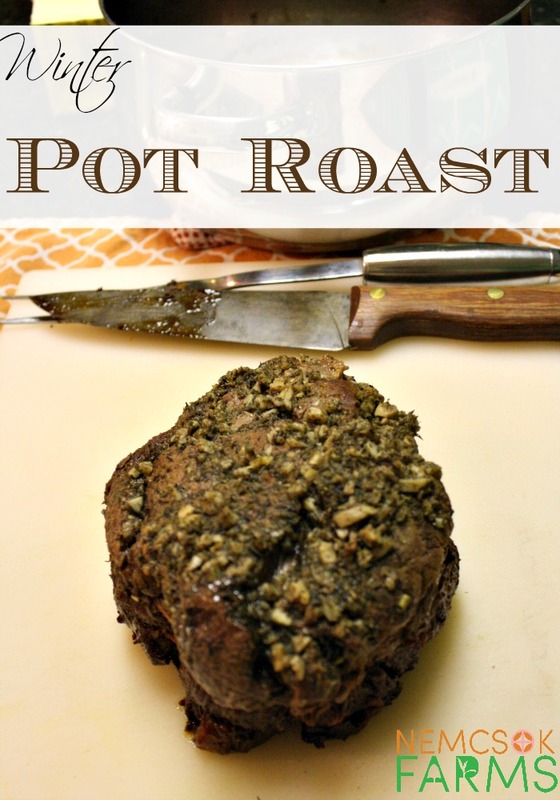 Use the best cut of roast for pot roasting. 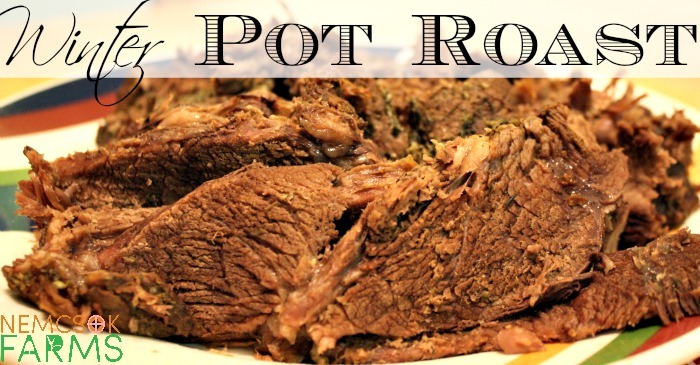 Pot roasting is best for less tender cuts, such as a Blade Roast, Cross Rib Roast, Chuck Roast, Shoulder Pot Roast, Brisket or Plate Roasts. When your roast is cooked to the specified internal temperature, slice it, place it on a serving plate or platter, cover tightly with aluminum foil, and place in a warm oven until ready to serve. Mix salt, pepper, marjoram, thyme, oregano and crushed garlic, set aside. Lightly brown roast on all sides in a large dutch oven sized pot. Sprinkle seasoning mixture over the roast. Add broth to the pot, and cover. When the roast is done, slice it, cover with aluminum foil and keep warm until ready to serve. Serve this delicious roast with Perfectly Mashed Potatoes, and a Green Bean Salad.